Thanks to DarkUFO reader Matt for alerting me to this interesting little photo that Rebecca Mader has on her Facebook page. 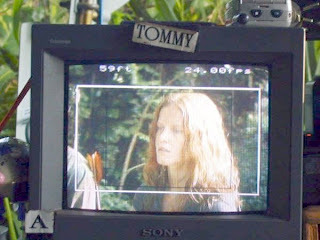 Rebecca Mader put some new photos up on her facebook, of when her parents visisted her on set. 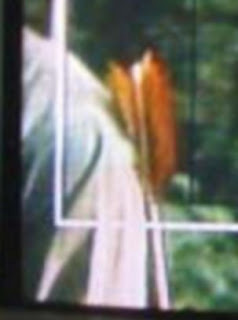 In one picture we can see Charlotte on one of the monitors beside someone who clearly has a bow and arrow!!! interesting ya?